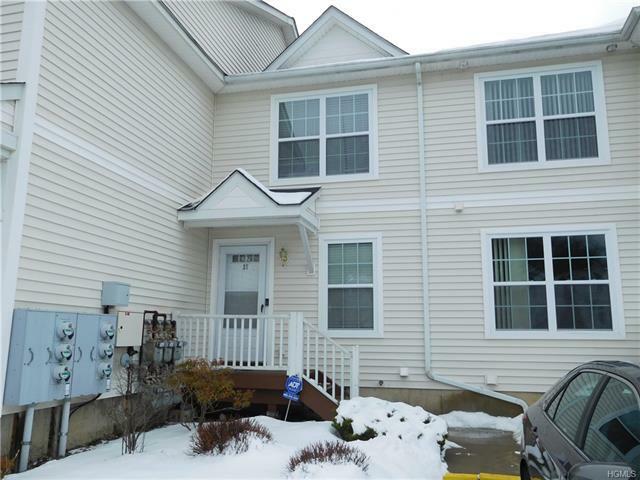 2 Bedroom 2 1/2 Bath Townhouse in Mountainside Hills. Close to Highway, Shopping & major roadways. New Paint, carpets just shampooed, move in condition. Eat in Kitchen with Stainless Steel Appliances and Corian counters and Counter with stools, Dining Room, Living Room with Sliding door to back deck which is private & 1/2 bath on 1st floor for convenience and also Laundry Room on 1st floor. 2nd floor has Master Bedroom Suite with Huge Room & Huge Walk In closet & Full Bath with Shower. 2nd Bedroom is a great size and there is also another full bath for guests. Scuttle attic in Master Bdrm Closet. Bright & Sunny Unit. Basement is finished with Carpet & Nu Paint. Great Condition.